If you are interested in finding out more about the major urban renewal project planned for The Bays Precinct in Sydney harbour, then sign up for the public talk on Wednesday 5th November. 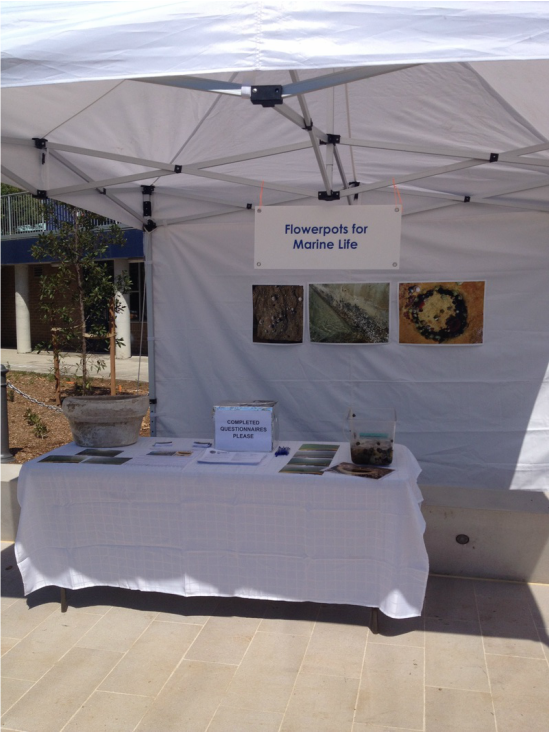 glebe foreshore walk opening this weekend! 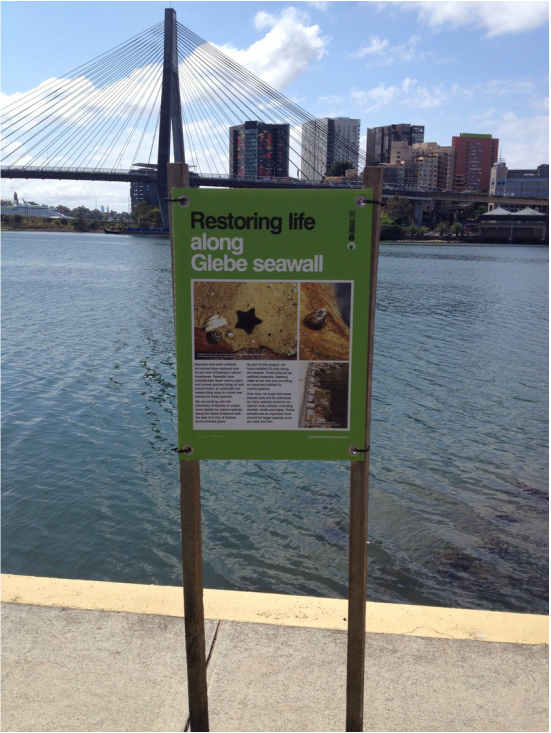 The final link in the Glebe Foreshore Walk is finished and is being opened this weekend, on Saturday 25th October. 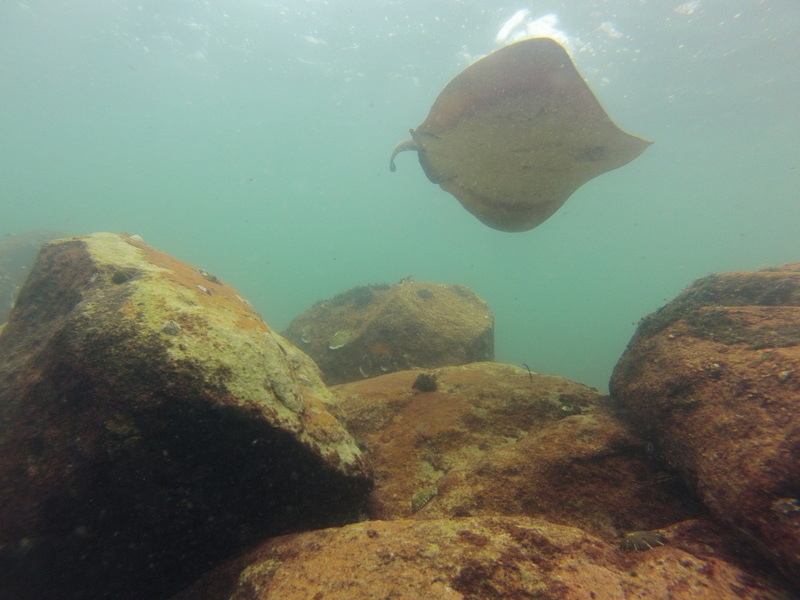 Rebecca will be doing an information stall about the new marine habitat that has been created along the walk. So come down from 11-1 pm to find out more, and enjoy the food and entertainment along a beautiful stretch of Sydney harbour. 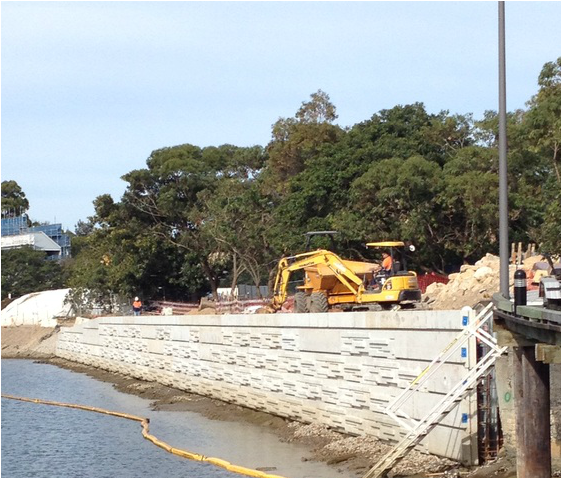 The new link of the Glebe Foreshore Walk in progress. 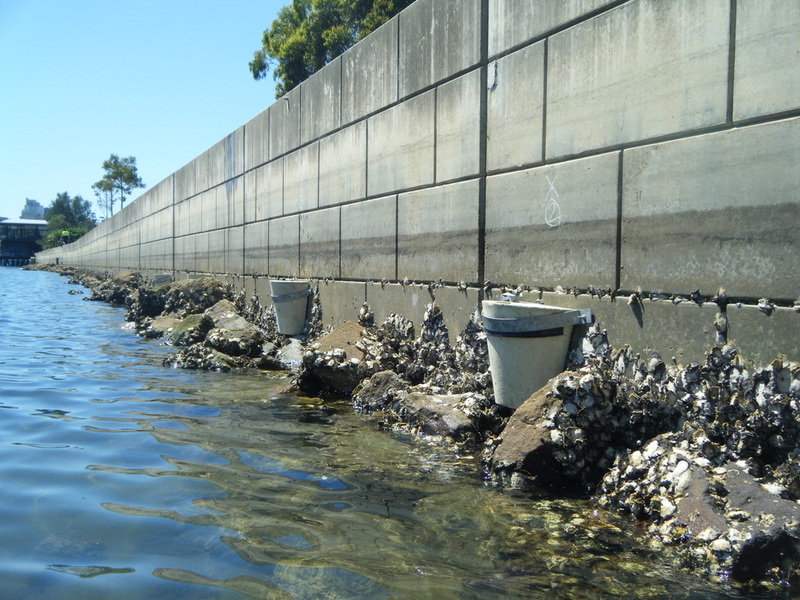 the seawall has been designed to provide more habitat for marine life. Having trouble finding the flowerpots? Look out for the new signs at Blackwattle Bay park to point you in the right direction! 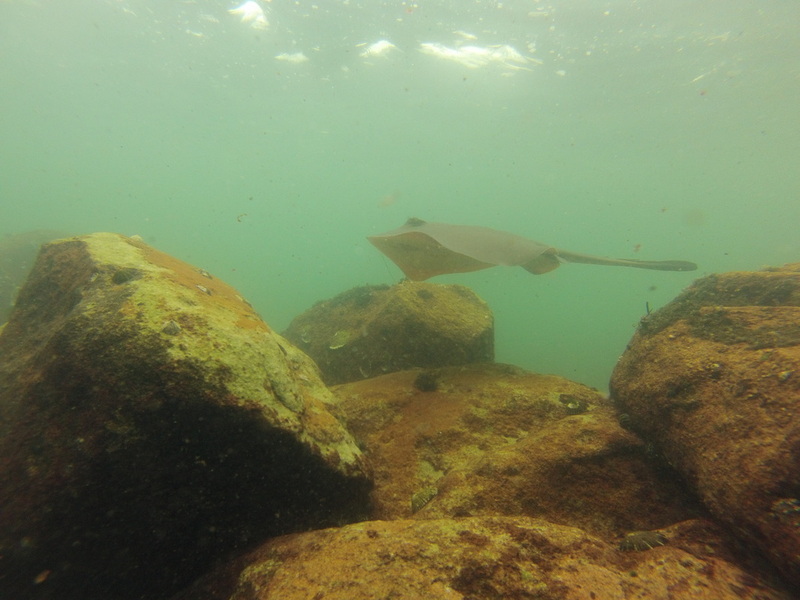 We are currently in the process of building our blog, it will be ready soon so please check back for information about the project and researchers over the next couple of weeks.